The Dallas Law Firm, Quaid Farish, has been named in the 2018 edition of Best Lawyers Magazine under both the Family Law and Collaborative Law categories. 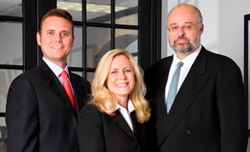 Partner attorneys in the firm Julie Quaid, Charles Quaid, and Christopher Farish are among the most respected family law attorneys in the North Texas area. For more than three decades, Best Lawyers has been compiled by conducting exhaustive peer review surveys in which tens of thousands of leading lawyers confidentially evaluate their professional peers. Chris Farish, Julie Quaid, and Charles Quaid have all individually been listed in Best Lawyers under the Family Law and Collaborative Law-Family Law categories. The firm was also named a Best Law Firm- Tier 1 in Dallas/ Fort Worth in Family Law.